May/June 2014. By Duke Ellington, Ross Lynch, and The Piano Guys. By Audrey Snyder, Billy Strayhorn (1915-1967), John Jacobson, Roger Emerson, and Rollo Dilworth. Arranged by Emily Crocker, Janet Day, and John Higgins. Music Express. Classroom Resources, Choreography, Young Choir, Children's Choir, Elementary, Children, Cross-Curricular. Softcover with CD-ROM. 64 pages. Published by Hal Leonard (HL.119817). 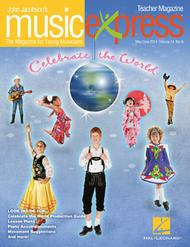 Music Express magazine is the award-winning general music classroom curriculum resource for grades K-6. 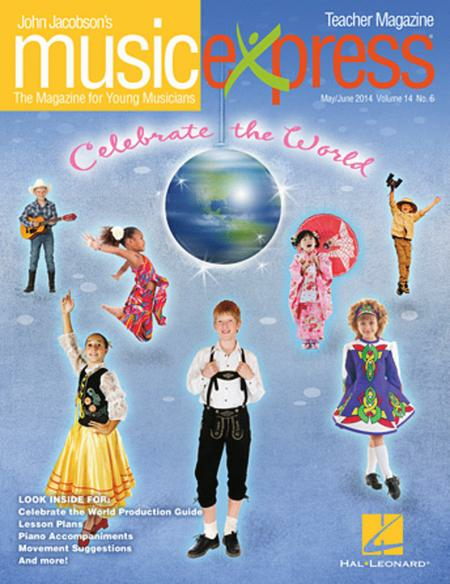 Sold as a subscription that includes 6 packages per school year, Music Express is rich with diversity in content and provides creative, high-quality songs, lessons and recordings that will keep students engaged and excited. All lessons are correlated to the National Standards for Music and the National Core Arts Standards. This teacher magazine is sold separately from the subscription and includes an Enhanced Audio CD with PDF's.